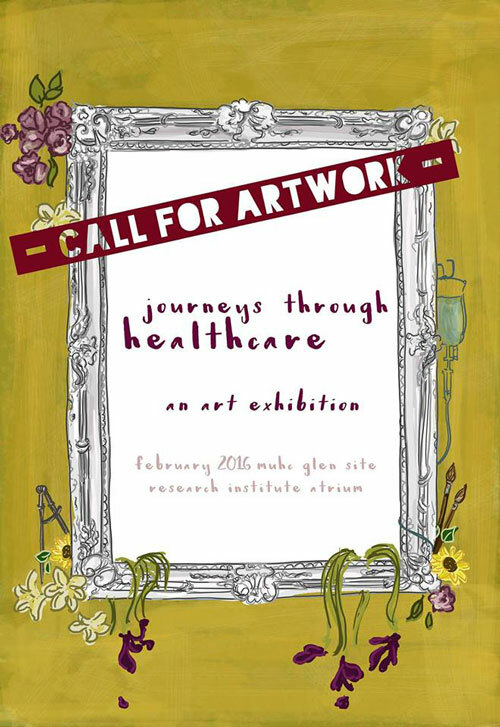 The McGill Humanities and Arts in Medicine (McHAM) group is calling all patients, caregivers, students, and healthcare professionals who have expressed their emotions about health and illness through art to submit their masterpieces to be displayed as part of a public art exhibition in Winter 2016 at the Glen site of the MUHC. For some, art is an expressive outlet for experiences related to health and illness. People may find hope, strength, and closer relationships over the course of their illness, while others will face despair, isolation, and a sense of grieving for lost possibilities. Sometimes what arises is a need to express, make sense of, and derive personal meaning from what has occurred. The McGill Humanities and Arts in Medicine (McHAM) group is calling all patients, caregivers, students, and healthcare professionals who have expressed their emotions about health and illness through art to submit their masterpieces. They will display these works of art as part of a public art exhibition entitled “Journey’s through health care” in Winter 2016 at the Glen site of the McGill University Health Centre (MUHC). The goal is to provide those from the MUHC and the Montreal community a space to share and reflect upon their healthcare experiences. ability to represent the diversity of the MUHC community and its patients, families, staff, volunteers, and students. If an artist is under 18, parental or guardian consent to participate may be required. All artwork, including those not selected to be displayed, will be retained during the art exhibition and returned to artists at the exhibition’s end. Call for submissions is open from now until Jan. 8, 2016. Those selected will be contacted at the end of January. The exhibit will take place beginning on Feb 1, 2016, and will run for six weeks. Please submit your artwork using one of the following entry forms – French or English. To find out more, visit the website or Facebook page, or contact 2015health.art@gmail.com .